First of all I must establish my credentials for writing about Rio’s hospitals. I have been doing some research, and discovered that over the period of 53 years that I have lived in Rio, I have been interned in at least 9 of Rio’s hospitals for a variety of treatments. There are over 50 private hospitals and clinics in Rio, and a similar number of public hospitals. To get the full history, I must go back to my first experience of a hospital. At the age of around 9, I had a tobogganing accident in Reigate, Surrey, in the UK, and ended up in the East Surrey Hospital for three stitches in the head. I then kept free of hospitals until I arrived in Brazil in 1954. I lived in Recife for a while, and one night, while testing out a motorbike for a friend, I took the wrong turning onto the then existent swing bridge over the river. The bridge had a road on each side and a railway in the middle. The right-hand road was closed for some reason, so I swung into the next opening, which unfortunately was the railway. I took a dive through the bridge into the river, and ended up in the local ER, with a small cut on one arm. The bridge was steel lattice, so I was very lucky. From Recife I moved to São Luis, Maranhão, and by then I had a motorbike of my own. One morning, going into town to meet a friend, and distracted by a noise the bike was making, I went off the road, and on steering back to the road hit a telegraph pole, breaking my femur. This put me into the Hospital Português for just over three months, after which I was moved back to the UK, to Smallfields Hospital in Surrey, where they operated and fixed the leg with an IM rod. Three months in a plaster cast in a hospital in equatorial São Luis with no air-conditioning is a story in itself, which I won’t tell now. Mistakes were made in the treatment of a broken femur, but the nursing was good, albeit with mainly male nurses, as it is a church hospital run by nuns, and they were a little old-fashioned in those days. I returned to Brazil in March 1958, and spent two years in Belem do Pará with fortunately no hospital experiences, and in 1960 I arrived in Rio. My first problem was a hernia, which was fixed not once, but twice at the German Hospital, better known as the Amparo Feminino. About this time I got married and started a family, so I must mention a bit of history. There used to be a hospital in Rio called the Strangers Hospital. It was run by the British and American communities here, and some of the nurses were brought in from the UK. My wife was born there, and so was my first son, in 1965. Unfortunately, like so many British organizations, management was difficult, and the hospital had to be sold, to make way for about six sky-scraper apartment buildings, known as the Morada do Sol – opposite the Rio Sul tower in Botafogo. I did the usual yearly checkups, and during one of them, in 1989, they decided my coronary arteries were getting blocked, and I went into the Beneficiencia Portuguesa for bypass surgery. After that, for various reasons, I visited the Sirio Libanes, the Sao Lucas, Casa de Saúde Santa Therezinha, Cardio Barra, Sao José, Pró Oftalmo (cataracts) and finally, the hospital that decided me to write this posting, the ProntoCor on the Lagoa, where I spent almost a week, three days of which in the ICU. 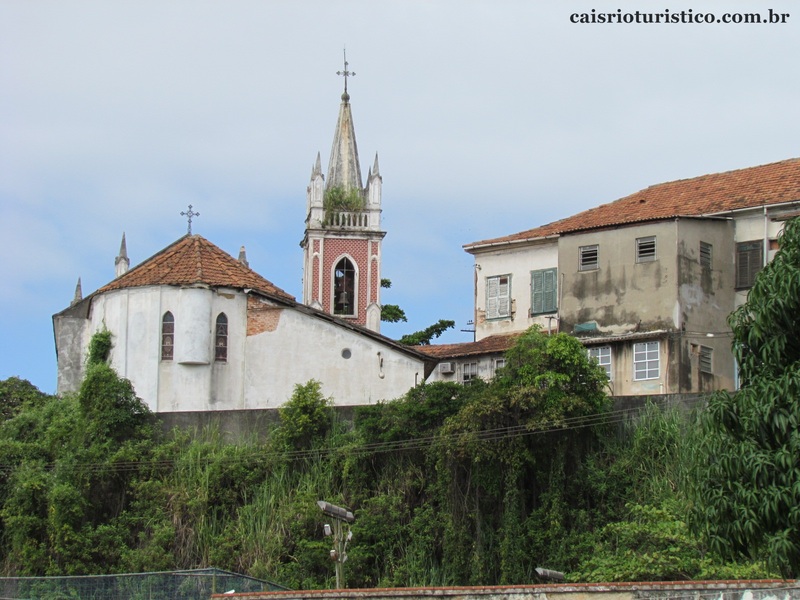 Here I have to add a new hospital – new to me, but one of the oldest in Rio – the Hospital da Gamboa, up on top of a morro in Gamboa/Santo Cristo, originally Hospital Nossa Senhora da Saúde. Part of its history is that slaves were treated there during the early 1800s, when yellow fever was rampant in Rio. It has no emergency room, and it is a teaching hospital. I was there to see the dermatology department, and was attended by a room full of doctors and students. The allergist I intended to see couldn’t give me an appointment until November! The most important service in a hospital is the nursing. I believe things have changed somewhat since my time in Smallfields Hospital, but in general standards are high in the UK, as is discipline. One of the big differences between the UK and Brazil is that in the UK the hospital most probably comes under the National Health, the equivalent of a public hospital in Brazil, whereas here most people at our level of society (middle class) have a health plan and therefore go to private hospitals. In a private hospital one usually has a private room, whereas in the hospitals in the UK the norm is to be in a ward. My ward had 24 beds, 12 orthopedics and 12 abdominals. A comment on the nursing at the ProntoCor: remember I was in the ICU, where good nursing is essential. I experienced two or three different groups of nurses, as they work shifts, one day on and two off. There is a head nurse, who always wears white, and a group of junio nurses, all with basic training (6 months) and maybe more, like “técnico de enfermagem” or specialist nurses. There are five degrees of qualification, and top nurses do 4 years in university plus specialist courses. In general the nurses in the ICU were competent. However, being tied down to an intensive care bed I consider to be a form of torture! You can’t move, you can’t go to the toilet or take a shower, so all this is done in the bed. Magazines and books are not allowed, as they could bring in germs from the outside (I eventually got a book approved). There is no TV – at least not in ProntoCor, I believe some hospitals have it. The nights are worst, as there is always noise – the monitors constantly beep. I had one night of complete silence – somehow the head nurse had quietened the machines. Hygiene was good, and the nurses used gloves for everything, changing them for every job. Hospital infection is a very real danger, and cleaning and disinfecting has to be constant. The nurses do not patrol, and tend to disappear. There is no button on the bed to call them. You have to shout or wait till one appears. The ICU is really for people in serious condition, like post-op, when they are heavily sedated. With a heart out of rhythm, I was feeling fit, but had to be there because of the monitors. They were good on routine tests, and X-rayed all the patients every day to check lungs etc. They also took routine blood tests every day, and when necessary scans, such as ultrasound to check for thrombosis. The Globo newspaper in Rio recently published an article comparing private health plans and hospitals with the public service, known as SUS – Sistema Único de Saude. The article points out that between 2005 and 2010, the number of admissions to public hospitals of patients with private health insurance grew by around 60%. One of the reasons is that operators of private health insurance claim that a particular procedure or treatment is not covered, so the patient, not wanting to pay the extra, tries the public service, especially when the treatment is urgent, as in cases of maternity. I have friends who do not have health insurance, and depend on the Public Health system, and in general they are satisfied with the service and treatment. Many of the commonly used medicines are free, or almost free, through the “Farmacia Popular”. This is very helpful when you need to control cholesterol, sugar and blood pressure, which are usually lifetime meds for older people. I have to add one hospital to the list, as recently I had to have a minor procedure, and the only clinic/hospital I could book in the short term was the Casa de Portugal, on Rua do Bispo in Rio Comprido. I was a bit skeptical, but discovered it to be a very old and very good hospital, in fact building a huge annex that will one day be a cancer hospital. The Casa hospitals are a group, and include Hospital Casa Evangélico in Tijuca; Hospital Casa Egas Moniz, in the Center; Hospital Casa Prontocor, in Tijuca; Hospital Casa Italiano in Grajaú; and Hospital Casa São Bernardo, in Barra. I was only in for a day, thank goodness, but the service was good, and the hospital spotlessly clean. 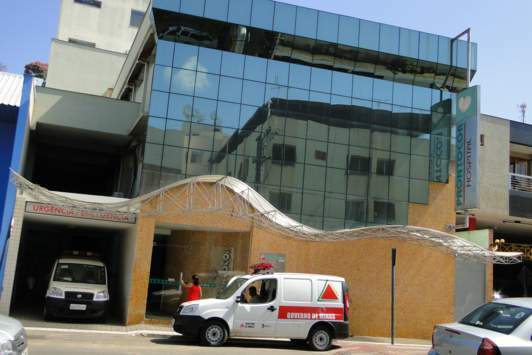 Recently I had the misfortune to find myself in the ICU of Hospital São Lucas in Copacabana. My gut had been painful for a few hours, and eventually we decided to go to the ER. There they did routine tests and discovered I was hemorraging, caused by an excess of the blood thinner I was taking at the time. The thinner is called Marevan, and it is based on Warfarin. It needs very careful monitoring, through TAP blood tests, and unfortunately mine went out of control after a change of dosage. I believe it is a medicine that should be avoided, as there are now more modern blood thinners, which do not need monitoring – but are of course much more expensive. Anyway, they got it under control with, I believe, vitamin K, but I had to spend a week in hospital, half of which in the ICU, which I consider torture, as you are tied down to the bed with all the tubes and wires and monitors. Eventually I moved to a room, still with an IV attached, and my bad knee had swelled up due to the immobility, and when I first got out of bed I had to use a walker! Going to the bathroom using a walker and dragging an IV behind was quite an exercise, and thank goodness they allow a companion, and my wife Audrey was there to help. A CAT scan eventually indicated that my intestines had returned to normal, but they were very cautious, and did various tests before letting me go. With a lab on the premises, the results come out very quickly. Although I consider myself lucky at not having had experiences in the public hospitals, I have followed many experiences told to me in past years. I live in Nova Friburgo, a small city in the mountains surrounding Rio. There are 4 hospitals: 3 private hospitals and one public run by the city administration. The quality and availability of emergency services (ER) can be considered just adequate, put follow-up care can be considered well below acceptable standard. This service seems very dependent on the local administration and management; there have been ups and downs. The UPAs (Unidades de Pronto Atendimento), out patients clinics seemed to work quite well for the first years, but now, apparently due to the lack of funds and doctors, have been scaled back and concentrate only on pediatrics, referring all cases back to the main hospital. This simply overlloads the ERs services! An additional cause of overload is the fact that neighboring counties simply ship their patients to the Friburgo hospital. I won´t pretend that I can suggest solutions to the Brazilian NHS. What is clear and evident is that the system is corrupt ( everything costs the state at least double what they cost to private clinics ), badly ,managed (doctors are usually good administrators) and the lack of staff both in quantity and qualification. The government has suggested importing doctors from Cuba, Portugal and Spain to fill the gap forgetting two things: without specialized nursing staff and adequate and more importanly correctly manintained infrastructure things will not improve. São Paulo state imposes a qualifying exam for all recently graduated doctors and the results have been abysmal. Infrastructure not only means improving hospitals and ICUs, but also laboratories. I have heard stories of exams taking six months to get results back to a doctor, of important surgical procedures taking months because of the lack of surgeons and anaesticists. The feeling I get is that the government is emitting a lot of hot air! Something to get the ball rolling and relieve the pressure of the streets. Perhaps only a 27% fall in popularity of the President and continued pressure form the streets will produce some tangible results. One should keep up the pressure!